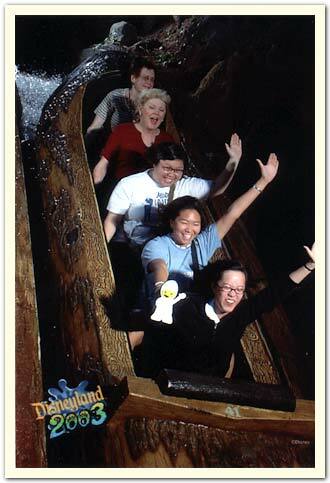 Bumperboy, Chia-Hwa, Christine, and Debbie take the plunge on Splash Mountain at Disneyland. 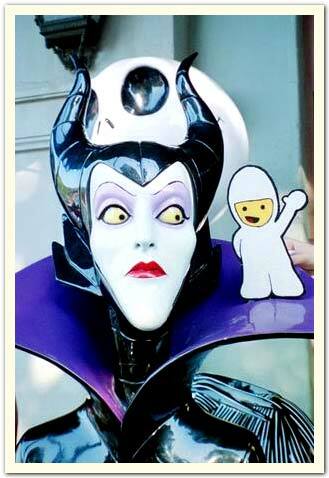 Malificent gives Bumperboy the evil eye, but he doesn't seem to mind. 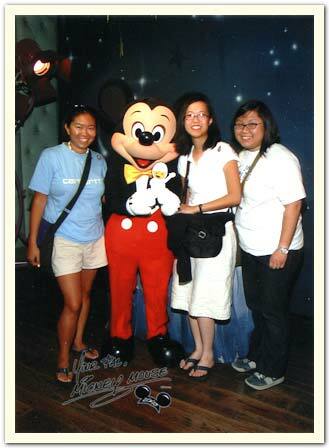 July 2003. Photo by Christine C.